When Michael Jordan was home in 1998 the best pair of sneakers to match his jersey and shorts was the Air Jordan Original 13 (XIII) White / Black – True Red – Pearl Grey, which utilizes each color in the right place. 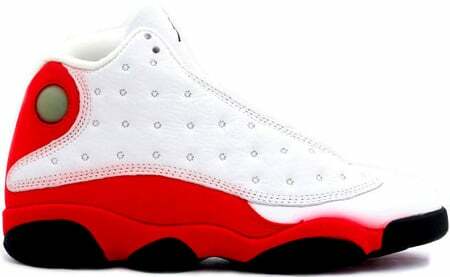 The Air Jordan Original 13 (XIII) White / Black – True Red – Pearl Grey released in the first month of 1998, January. This pair of Air Jordan OG 13 (XIII) brought a lot of attention, and sold out pretty fast when released.